Our service and support is responsive. Machine down, need a Fanuc Part ? Fanuc Spares and Repairs UK. Welcome to the best place to source GE Fanuc, Fanuc CNC Parts, Fanuc Amplifier Modules, Fanuc Exchange & Second User Fanuc Boards, Fanuc Alpha, Fanuc Encoders, New and Used Fanuc Servo Motors, Drives, and Control Cards + other CNC Spare Parts. Many Surplus Items have long lead times when bought from the OEM. - Please browse our lists of machine tool replacement parts including Indramat, Okuma Electronics, Mitsubishi Spares Which Change Daily - if we don't stock the parts you need then please ask. We won't ever share your details with anyone. Fanuc and GE CNC Fanuc Europe started life as a joint venture between General Electrical Co of America and Fanuc ltd of Japan. Founded in 1987 in Charlottesville Virgina USA. The successful partner ship sold millions of units sold worldwide for 22 years until August 2009 when both companies agreed to dissolve the joint venture, December 2009 saw the split completed. Stocked items include Amplifiers, CNC Control boards GE2000 and GE1050, General Electric HI-AK, PLCs Such as A03B, Versamax, 90/30 and 90/70 Series. WE REPAIR SUPPLY NEW, RECONDITIONED, & OBSOLETE PARTS. 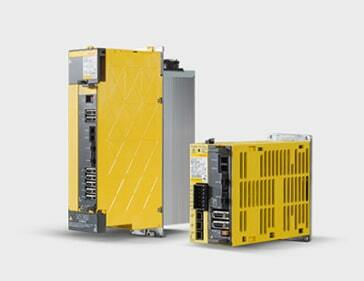 Global corporations trust us with their fanuc spares and applications. We’re here to help you now, when you need it. Every customer is provided with guaranteed response times to ensure we resolve any issues or make repairs in a timely fashion. Our technical staff are highly talented and experienced engineers we offer technical support via phone and email to help you diagnose faults backed up by our test and UK repair center. Save Money, our OEM Exchange Parts are at Least 50% Below the high Manufacturers Prices. Monday To Thursday 8:00am - 5:15pm. Fri 2pm. Please email out of hours.